Doctor Who- 4th Doctor | The Daily P.O.P. For a television program spanning over 50 years in various mediums, Doctor Who’s legacy is a long and thorny one. Changes in leading men production teams, clashes behind the camera, legal wranglings and outright destruction of film cans have caused some problems for fans. Before the advent of DVDs, streaming media and such things, fans of Doctor Who read novelized versions of the adventures on screen. From the 1960’s through 1989, the TV episodes were released in bookshops. 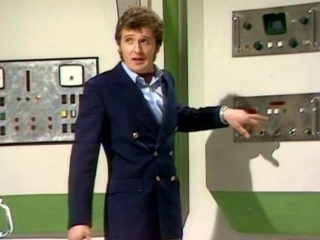 While some were adapted by the actual screenwriters, many were written by others such as Ian Marter and Terrance Dicks. Despite the popularity and success of Doctor Who, there remain gaps in this endeavor (most notably Resurrection of the Daleks and Revelation of the Daleks by Eric Saward and City of Death by Douglas Adams). After taking over the role of script editor from Anthony Read in the 16th season of Doctor Who during the Key to Time saga, Adams later rose to popularity for his radio comedy Hitchhiker’s Guide to the Galaxy. During his time on Who, Adams contributed to three key stories, The Pirate Planet, City of Death and the never finished Shada. City of Death has become a kind of touchstone for introducing fans of the new series to the classic program as it has many of the key elements that can be found in the BBC Wales program such as high wit and a brazen sense of drama and high concept science fiction mixed with contemporary settings. Adams was never happy with the finished results and to be honest, it doesn’t really hold up to its reputation in my opinion. Nevertheless, it is a well-loved story and one that is still looked upon with reverence. Tragically, City of Death was never novelized… until now. Soon the Time Lords are embroiled in an audacious alien scheme ￼which encompasses home-made time machines, the theft of the ￼Mona Lisa, the resurrection of the much-feared Jagaroth race, and ￼the beginning (and quite possibly the end) of all life on Earth. 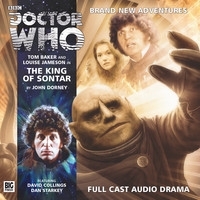 ￼Aided by British private detective Duggan, whose speciality is ￼thumping people, the Doctor and Romana must thwart the ￼machinations of the suave, mysterious Count Scarlioni – all twelve ￼of him – if the human race has any chance of survival. James Goss is the author of two Doctor Who novels: The Blood Cell and Dead of Winter, as well as Summer Falls (on behalf of Amy Pond). He is also the co-author, with Steve Tribe, of The Doctor: His Lives and Times, The Dalek Handbook and Doctor Who: A History of the Universe in 100 Objects. While at the BBC James produced an adaptation of Shada, an unfinished Douglas Adams Doctor Who story and his Doctor Who audiobook Dead Air won Best Audiobook 2010. While Doctor Who may be a worldwide cultural success today, this kind of announcement appeals mainly to a select group of fans who are nonetheless exuberant. It is disappointing that Gareth Roberts (author of several great novels such as The English Way of Death, The Well-Mannered War and an adaptation of Adams’ Shada) is no longer writing this book Jams Goss is a good fit. His excellently absurd audio adventure The Scorchies is proof positive there. For some fans of Doctor Who, this is a ‘so what’ moment while for others it fills a long empty gap in their collection. All teeth and curls, it can be said that Tom Baker will forever be associated with Doctor Who but I think it should be reversed. From his first appearance in 1974 to his latest in 2013 Doctor Who is associated with Tom Baker. Proof of this statement can be found in the enormous impact that his short appearance alongside Matt Smith had on viewers. Grown men got teary as the memories flooded back regarding this magical man. His dulcet tone, mad eyes and signature diction have a comforting way of improving any situation. And of course he is still doing it. In this behind the scenes video, Tom Baker provides a few words on what it has been like to play the role of a lifetime and how lovely it is to revisit the world of Doctor Who in audio format at Big Finish. For any Doctor Who fans unfamiliar with the Big Finish catalog, I strongly urge you to give it a go. Hearing the 4th Doctor battle the Master, Daleks, Sontarans and more alongside his dear friends K-9, Leela and Romana (I and II) is a very enjoyable experience. Remember all the excitement earlier about the cryptic Doctor Who – Tom Baker video? Finally the answers are at hand and it’s… well… I’m excited but I like toys and DVD re-releases. The only DVD included is Terror of the Zygons, a beloved adventure that also closes the Fourth Doctor era on DVD. 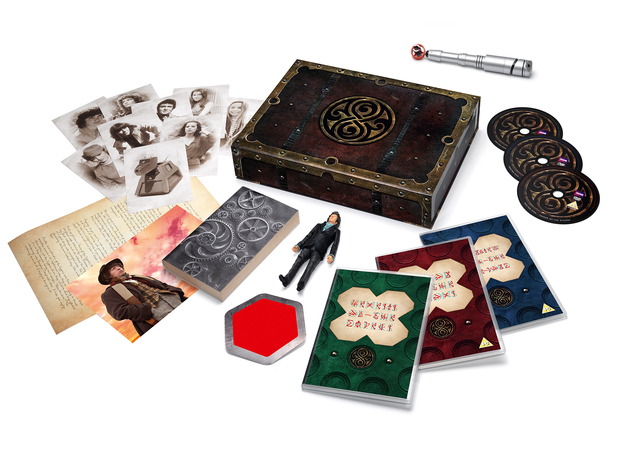 With a limited run of 5,000 units, the Time Capsule also includes an exclusive post-regenerative Fourth Doctor action figure – wearing Jon Pertwee’s trademark frill-fronted shirt, a Fourth Doctor sonic screwdriver, an audio version of classic Tom Baker story ‘Genesis of the Daleks’, the novel ‘Tomb of Valdemar’ by Simon Messingham, art cards of all the Fourth Doctor’s companions and a letter from Tom Baker himself. The ‘Fourth Doctor Time Capsule’ will be released on July 29. As the 50th anniversary of Doctor Who approaches, more images hinting at what’s to come are flying about like a flurry of stray jelly babies in a 3-D adventure hastily forgotten. The video below could allude to something as major as Tom Baker’s involvement in the anniversary special, as normal as the Terror of the Zygons DVD release (thus marking the final 4th Doctor Who story to be released on DVD) or promoting the upcoming anniversary celebratory convention. Make of it what you will and follow on twitter. Arguably the most successful and influential of the Doctor Who eras lasted from 1974-1977 when Robert Holmes, Tom Baker and Philip Hinchcliffe took the program to new dimensions of dramatic adventure and suspense, Drawing heavily from Hammer Horror and other sources, this period has retained its strong appeal with fans to this day. Recently a pair of ‘missing’ stories were adapted for audio by Big Finish that would have been produced during this era (For From the Future and The Valley of Death). Shortly, more stories will be released that revisit this time of dark Gothic horror and spine-tingling action. Philip Hinchcliffe, who produced Doctor Who from 1975 to 1977 and oversaw many all-time classic stories including Pyramids of Mars and The Talons of Weng-Chiang, is returning to the Fourth Doctor and Leela in an audio drama collaboration with Big Finish. Doctor Who: Philip Hinchcliffe Presents is a box set of two brand new audio adventures that will evoke the tone of the series from his era. The first story in the set will be an epic six-parter set in Victorian London, adapted by Marc Platt (Ghost Light), which will be paired with a four-parter. “My aim with the box set is to create stories that feel they could belong to my second or third season,” says Phllip. “They are not designed to follow on from my era, more to re-evoke it for fans who enjoyed the originals: and so the Doctor and Leela in these new stories are the same as they were then, in the glorious seventies! That’s the beauty of radio – they look and sound the same! Doctor Who: Philip Hinchcliffe Presents will be released in August 2014, and is available for pre-order. 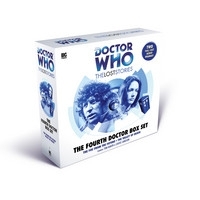 Also available for pre-order now is the fourth series of The Fourth Doctor Adventures, which features eight brand new stories, starring Tom Baker as the Doctor and Louise Jameson as Leela. You can subscribe to all eight, or order a bundle which also includes the Philip Hinchcliffe Presents box set, all at a low pre-order price! 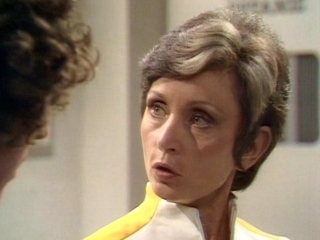 When Graham Williams took over as series producer for Doctor Who, he soon had the task of casting a new leading actress to take over from Louise Jameson who had played the popular Leela for two years. In sharp contrast to the ‘noble savage’ Leela and the ‘lovable girl next door’ Sarah Jane Smith, a new kind of companion was introduced. A regal young woman, newly graduated from university, Romana was a wonderful foil to Tom Baker’s Doctor. The Key to Time series remains iconic for many fans of Doctor Who. As a child, I was very familiar with the wide range of varied stories such as the comedic Ribos Operation to the high adventure Androids of Tara. The character of Romana was somewhat difficult for the writers to work with. Robert Holmes seemed to grasp the character’s young upper-class attitude and his stories played up the intelligence and sharp wit quite well whereas some other writers simply treated her as a damsel in distress. Feeling somewhat restricted, Tamm moved on after her first year but nonetheless acted as an ambassador for the program at conventions in the years to come. A strikingly beautiful woman, Tamm’s character juxtaposed the buffoonery of Tom Baker on screen. A self-conscious actor, Baker nonetheless grew quite fond of Tamm and even later in life received her friendly affections with great appreciation. The pair gelled so well, they were a joy to watch on screen. 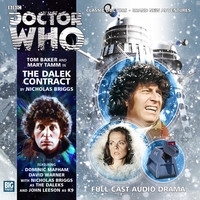 Big Finish recently finished releasing a full series of audio adventures starring Tom Baker and Louise Jameson. 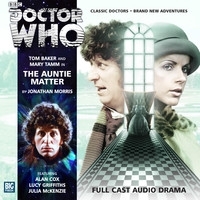 Baker and Tamm were intended to team up for the follow up series which will be released posthumously next year, starting with The Auntie Matter by Jonathan Morris. After a long battle with cancer, Tamm passed yesterday at the age of 62. She had a great zest for life. She was a fantastic actress – she played stage parts of such range, parts that would take your breath away. She could play any role, and do so wonderfully. She was a darling companion and wonderfully witty and kind. I’m so sorry to hear of her death. I will always remember Mary’s honesty, down to earth approach and I have to say the dirtiest laugh I’ve ever come across in a Doctor Who girl, so opposed the perceived image of ice-queen and aloof. The hours we spent working together in the studio, and her genuine kindness to me as her photographer… photographing such a beautiful woman – not just in looks but in her heart, and hearing her talk of her husband Marcus, daughter Lauren and how much she adored her time with Max her grandson, well you know there was goodness running through her. Frazer Hines (Jamie): I’m still reeling from the shock of Mary passing away!always a smiley friendly person whenever we met at cons. Edward Russell (brand manager): My condolences to Mary Tamm’s family. 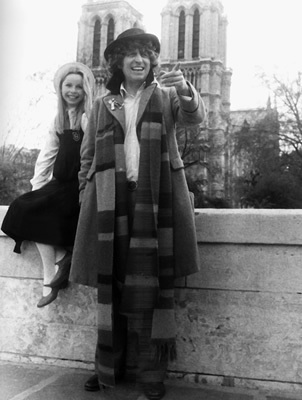 As a companion, Romana was my hero when I was 8 years old. So very sad. Guess we’ve reached that point in Doctor Who’s history where it’s time for many of its rich cast to say goodbye. Thank you for taking part. Paul Cornell: I’m so sorry to hear about Mary Tamm. 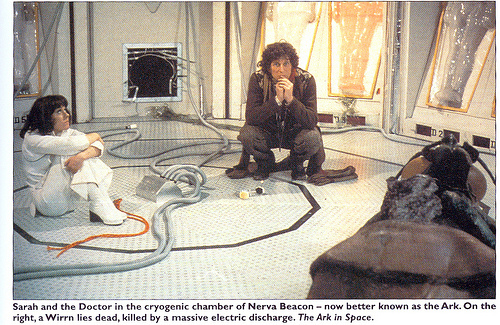 It’s an obit every month in DWM these days. How terrible. Mark Ayres (composer): Sad news to wake up to: RIP Mary Tamm, Doctor Who’s first Romana, aka Fred. She was of the few Doctor Who girls I never met properly, though I did “music” her Myth Makers, which she played as Alice in Wonderland. Gary Gillatt (DWM): Mary Tamm now. Another tragedy. What an awful year it’s been to be a Doctor Who fan. This terrible silence, slowly rolling over it all. The newly regenerated Doctor takes his traveling companion Sarah Jane Smith and Naval Officer Harry Sullivan for a jaunt in his TARDIS. Landing in the distant future, the travelers find that they have are on an interstellar version of Noah’s ark orbiting a scarred and barren Earth where the surviving human population waits for revival. But they are not the only trespassers on the Ark, there is an infestation of something very old and alien that is hatching its eggs in the bodies of the sleeping humans. The satellite is armed to protect its precious cargo, which is bad news for the Doctor and Harry who come under fire from a ceiling-mounted laser. Sarah, meanwhile, manages to get in a series of predicaments that almost defies belief. Nearly asphyxiated, she is then teleported by computer control and put into suspension. By the time the Doctor and Harry manage to extricate themselves from their own situation, they are left to marvel at what the space station really is, a wonderful testament to the human will to survive, a massive ark. A slimy green trail along the floor of the incubation chambers hints at a great danger. Looking for clues, the husk of a massive insect is discovered in a cupboard. The futuristic space station has a big problem, and somewhere in its innards a creature lurks waiting to strike. If this sounds familiar, you may be surprised to learn that Ridley Scott’s Alien was a few years off still. Yes, Doctor Who ‘did it first’ again. 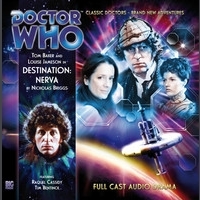 The Doctor meets one of the revived crew members, the beautiful and charming Vera, who provides some much-needed exposition of Space Station Nerva’s mission to preserve the human race in the aftermath of a deadly solar flare that blasted the planet surface, making it uninhabitable for generations. But they have overslept… a lot. Unsettled and confused, Vera puts her faith in her captain, Noah. In fine tradition, Noah suspects that the Doctor and Harry are saboteurs and questions their every motive. When the Doctor theorizes that the creature must have made a nest in the station’s generator room, Noah is convinced that these strangers are up to no good. Unfortunately, when he investigates he becomes infected by the alien invader, the Wirrn, an outer space locust seeking to breed and survive. Overwhelmed by the alien influence, Noah becomes a warped and tormented character, slowly but surely degrading into a slug then a full adult Wirrn, protecting the hive at the center of the space station. Yes, he’s also covered in green bubble wrap. Remember that this was 1975 and such products were not being used to secure packages sent by ebay sellers. As a monster, the Wirrn are hindered by their lack to do much of anything. They can’t walk, grab things or move their mouths. The poor actor trapped inside the costume can be seen hobbling about like a child wrapped in a blanket. 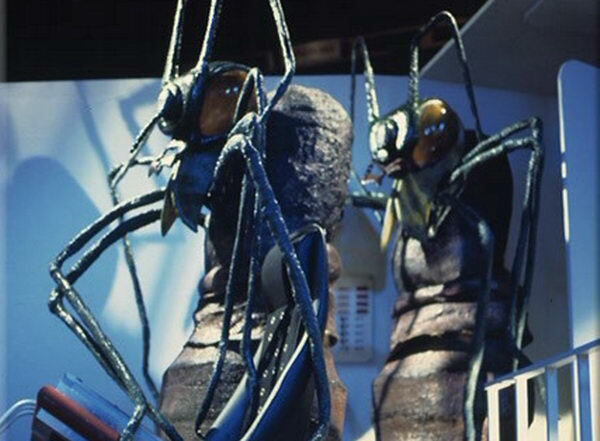 But as a concept, the Wirrn are pure horror gold, something that was later tapped by the BBV team and also Big Finish in a series of audio stories. Transformed into a purely auditory fiend, the visual appearance of a fragile foam prop is removed and the Wirrn become a much more effective threat. One can only imagine what a proper CGi Wirrn would look like and given that current Doctor Who producer Steven Moffat is a self-described king of Doctor Who nerds, we may even see one some day. As an American fan of Doctor Who, I was exposed to Doctor Who via nightly public TV transmissions. For years all I saw were three-four years of the same Tom Baker stories, until Peter Davison arrived. When I became invested as a fan instead of just a viewer, I would groan every time I saw the opening credits of Robot because it meant that I’d be stuck in the 1970’s for ages. I took this era for granted, especially the 1974/5 season that introduced Tom Baker and radically changed the program’s course. Recently I had some extensive dental surgery, luckily I could watch any DVD I wanted which meant that I and my dentist saw this story several times over in one sitting. I discovered that it is stunning TV and a grand Doctor Who story that appears positively bonkers to anyone unfamiliar with the concept of the program. The special effects that fans often moan about are more bizarre than cheap and the acting, informed by RADA-training is so other-worldly that the whole thing feels like it came from another world. I think that it was this weird factor that attracted me to Doctor Who in the first place. When I finally saw the previous three Doctors on PBS after the series’ 20th anniversary, I saw that it was far weirder than I could ever imagine. Doctor Who in the Pertwee era was an action serial with a relatively slim level of horror. This was very different to the previous period that saw terrifying monsters creeping out of every dark space imaginable to kill anything in their path. The Pertwee stories, arranged by Dicks and Letts were moralizing intelligent tales that spoke to a more soulful and socially conscious audience. 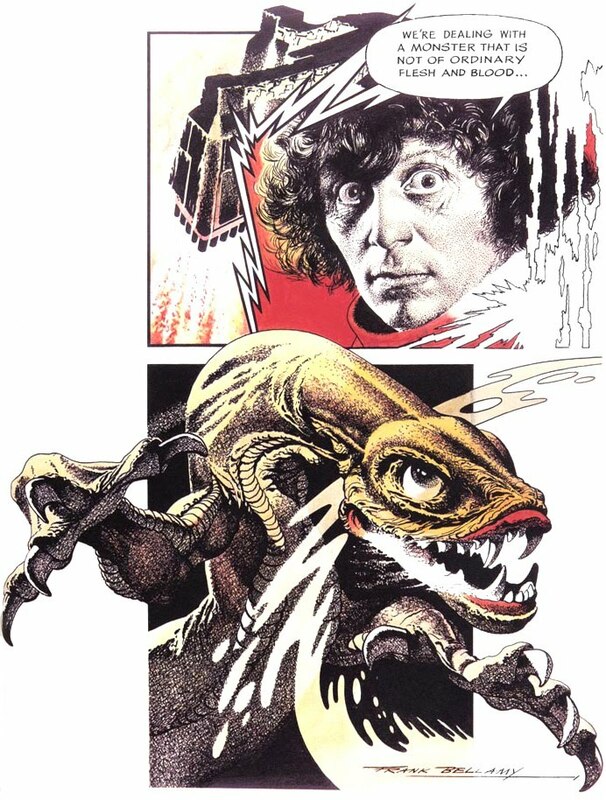 In sharp contrast, the first three years of the Tom Baker era featured more brutal murders, acts of terror and roaring oozing critters that sought to scare even the most secure viewer into the closet. Philip Hinchcliffe had seen that the audience was growing older and more sophisticated and decided to gear his run on Doctor Who to appeal to a viewer that wanted to be scared by creepy monsters and moved by eerie stories that would be at home in any Amicus movie. Throughout it all, the new Doctor would shine a beacon of hope, his mad stare and toothy grin assuring the children watching that everything would work out… even though the death toll was usually high for supporting cast members. 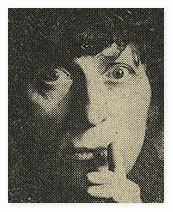 It’s interesting to note that, while he is a TV icon today, Tom Baker in 1974 was the youngest actor to play Doctor Who (as he was commonly called in the media) and took over the role from Jon Pertwee, who played the part for five years. Pertwee ushered in an era of unparalleled success during his time as the Doctor and many viewers were reluctant to accept Baker as his replacement. 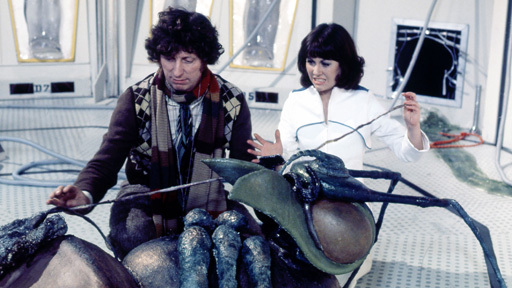 The tone of the program had changed drastically as well, embracing a more Gothic feel thanks to producer Philip Hinchcliffe and script editor/writer Robert Holmes. 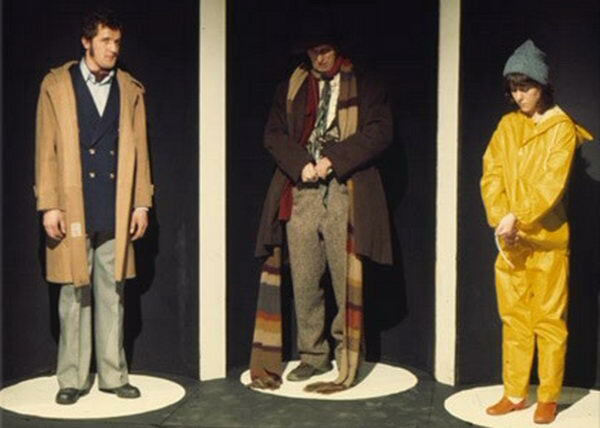 The stories of the 1974/75 series had been arranged by Terrance Dicks and Barry Letts as a kind security net for the incoming production team. Starting with a rather traditional U.N.I.T. adventure, the series also included the return of several fan favorite monsters; the Daleks, Sontarans and the Cybermen (who had not been seen in several years with the exception of a brief nod in Carnival of Monsters). Ark in Space, however, was something different. Working off of a script by ‘Marco Polo’ author John Lucarotti, Holmes took a safe and familiar futuristic studio-bound story and transformed it into a claustrophobic grim horror show. Navigating a vast network of corridors and shafts, the TARDIS crew must match wits with a wily and aggressive creature that is just as hard-wired for survival as mankind… if not more so. For the first time since the 1960’s, the Doctor has two companions with him in the TARDIS, and one of them is male. Jamie McCrimmon was the last male companion of a two-part crew back in 1969. Originally intended to take the action hero role enjoyed by Third Doctor Who Jon Pertwee, Harry Sullivan is a Naval officer and all-around English gentleman, to a fault. When it became clear that the new Doctor would be played by a younger actor, Harry looked a might superfluous. But actor (and author) Ian Marter saw an opportunity here and created a charming statement on the stock English hero. Harry is well-meaning, but an archaic cultural fossil, something that liberated journalist Sarah Jane Smith reminds him of every chance she gets. In her second year as a companion, Lis Sladen softened her part, a far cry for the self-motivated feminist that had been introduced the previous year. One of the most endearing and lovable heroines, she shudders with fright at the sight of a monster and would surely be scared rigid if not for the reassuring presence of the Doctor. The role of the companion has traditionally been to make the Doctor appear brilliant, brave and heroic and in that regard, Sarah is an absolute triumph. If not the best companion, she is certainly in the top three. 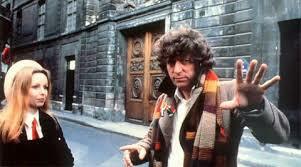 A true eccentric, Tom Baker hit the ground running as the Doctor. More or less playing an exaggerated version of himself, he is at once a genius, fool, hero and outsider. This Doctor accepted the alien and was attracted to danger and the unknown, making him somewhat unsettling to some and appealing to others. Baker was far more comical than Pertwee and more of a well-worn traveler than the posh dandy scientific adventurer. Working off of Marter’s buffoonery and Sladen’s damsel in distress act, Baker found a welcome home in this short-lived and often forgotten TARDIS team. Baker’s outlandishness was still understated and restrained at this point and his acting more intense than he later became. I suspect that as he encountered children in person who watched the series he became sensitive to them and decided to lighten the scary factor of the stories. 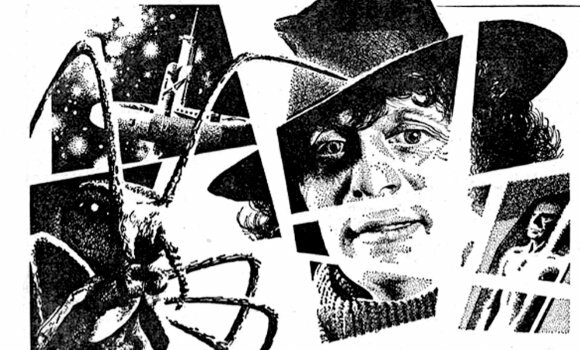 Both approaches work, but I lean more toward this brooding aspect of the Fourth Doctor. I had long associated The Ark in Space with a boring and predictable era of Doctor Who, but viewed in the right context it is not only ground breaking but invigorating as well. The first part of an overarching story that would include the Sonataran Experiment, detour into Genesis of the Daleks and conclude with Revenge of the Cybermen, this was a sci-fi epic! A post-apocalyptic setting that saw humanity reduced to food for killer insects, this story introduced viewers to the new status quot where the level of danger was heightened and so was the inventiveness of the production team. While not on par with the sterling efforts of the Troughton years where stop motion animation, film scratches and other tricks made Cybermen tear from spherical embryos and women’s faces were melted by Quark weaponry, Ark in Space made good use of lighting and design to evoke a particular feeling of terror and helplessness. My teeth are fine, by the way. 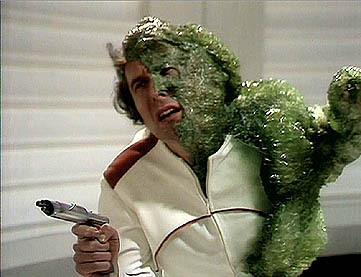 Like many Hinchcliffe-era stories, the action, Hammer-style horror and violence are played up with several particularly stirring moments such as someone who appears to be Harry Sullivan coming at Sarah Jane with a pitchfork and of course the Zygons themselves lunging after Sarah from the corner of a dark hallway. But in the end it’s all made quite family-friendly thanks to the cutest Lochness Monster ever. This jigsaw captures that nostalgia and makes you work for it as well. Fun stuff. 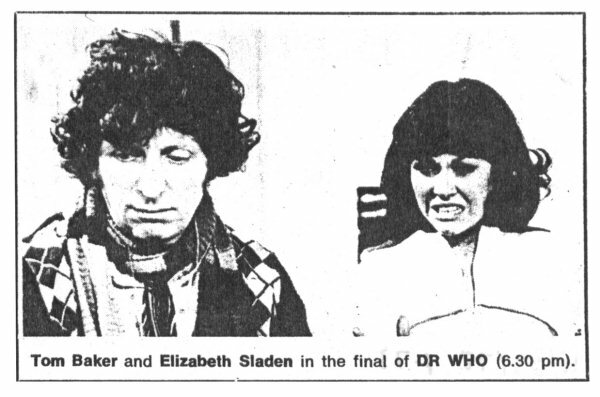 Here’s an oddity for my eyes, a vintage preview for the infamous 1979 series of Doctor Who. This featured such stellar gems as City of Death and dire dregs such as Horns of Nimon. The Daleks returned for the first time in several years, but appeared battered and worn, a far cry from their previously deadly selves. Extras dressed in surplus alien costumes from Blake’s 7 couldn’t even be bothered to die properly and simply slumped to the ground, apparently grateful for the rest. 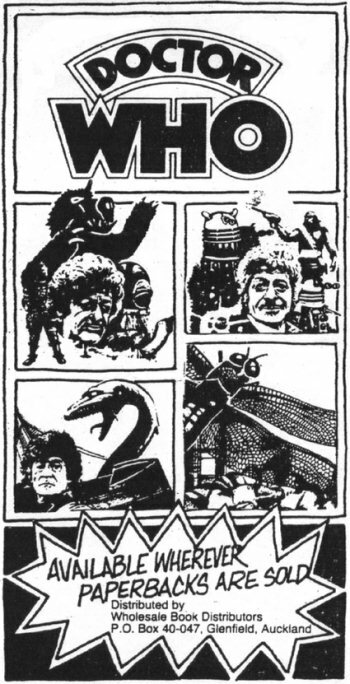 I have only seen a couple of trailers such as these from the classic program; one featuring Pat Troughton as the Doctor hesitantly warning viewers of terror coming their way in The Web of Fear, and there’s a later teaser made up of scenes previewing the Jon Pertwee classic Ambassadors of Death and one in which Tom Baker receives a communication from the Brigadier, leading to Terror of the Zygons. This one is very peculiar in that it has a narrative in which a disembodied voice warns the Doctor of the coming great peril. Stirred from a deep sleep like a hibernating bear, the Doctor grouchily responds but is then ordered to forget that he was told anything. He retreats to his TARDIS posting a sign to not disturb until the new series begins airing (clever reminder there). It’s very odd and fits the weird cosmic fantasy angle that the program explored at the time along with a camp sensibility. A strange time capsule, perhaps it also confirms that the current program is taking influence from this period? You be the judge. 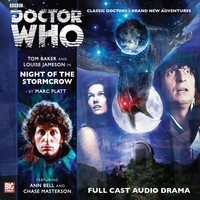 It’s a mind-blowing experience to listen to Tom Baker return to his role as Doctor Who in the new series of audio adventures released by Big Finish. He is still a genuine eccentric, but has aged into a rather acerbic and almost crotchety personality. But his quirkiness shines still through, albeit in new ways as heard in ‘Destination Nerva’ where he compares the peril from beyond the stars as being only worse than getting stuck in Gloucester during a heavy rain shower. A classic is as classic.